Part No. SEN-TPL010K In Stock FedEx orders placed in the next 3 hrs, 56 mins ship today. Coolant thermistor temperature sensor within a stainless steel and brass body. G 1/4 BSPP threads are provided on both sides. Wire length = 30" (76cm). 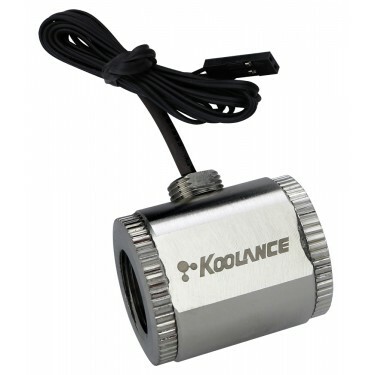 NOTE: This sensor will only work with Koolance products which use 10K Ohm @25°C sensors (first introduced in 2011).